John Ribble is a pastel artist based in Madison, Wisconsin; he also teaches full time in the Graphic Design & Illustration program at MATC. John paints mostly landscapes, “en plein-air”, and focuses on rural scenes throughout the Southeastern Wisconsin area. His work in pastels has taken him all over Iowa, Dane, and Door Counties, as well as in the city of Madison. 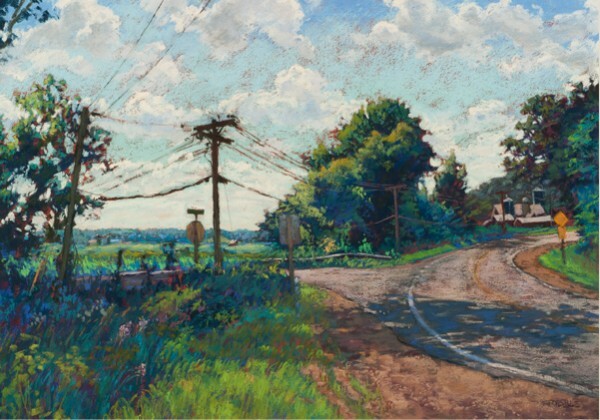 His pastel paintings illustrate a love and interconnection to the land and geography of Wisconsin.